Elite MD facials are customized to fit your unique skin type and skin care goals. Our Clinical Aestheticians have advanced training in skin care and consult with our Dermatologist and Plastic Surgeon to provide you with an optimal skin care regimen. Our medical team-approach to skin care will provide a comprehensive regimen designed to enhance your results. This is a two part procedure facial. Initially, enzymes with steam are used to digest dehydrated tissue exposing fresh skin. Extractions where necessary will be done at this time. Your new skin is now ready to be polished with Microdermabrasion/Dermasweep, utilizing your customized Infusions which will now penetrate deeper into the cleansed pores. Not only are your pores cleaned, your skin is hydrated and treated to meet your personal needs. This facial will enhance the results of any laser or cosmetic procedure, as it includes your face, neck, décolleté and shoulders. This treatment targets ACNE !! The use of LED Blue light therapy kills acneic bacteria. Utilized alone or added on to any skin care treatment will expedite healing. Deep Pore cleansing facial utilizing Enzymes and Steam, digests protein and oils trapped and clogging the pores. Extractions to remove clogged pores of impurities allows deeper penetration of products. A Customized Chemical Peel targeted to address your individual needs is advised at this time. 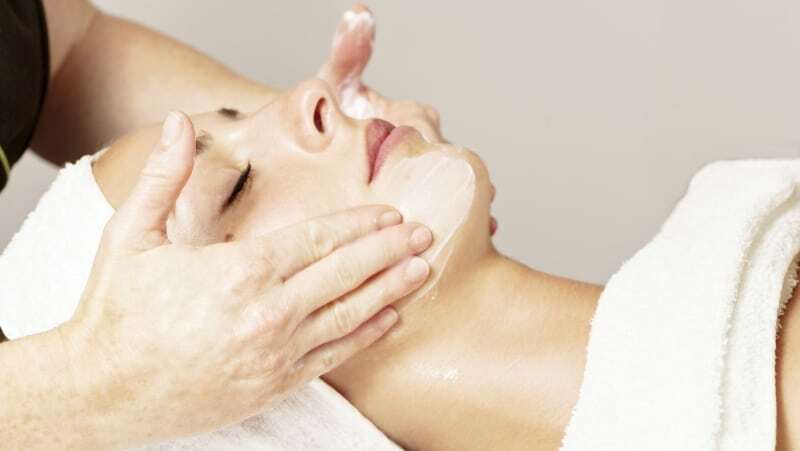 Chemical Peels will be determined and priced by your Clinical Aesthetician. Blue light works by killing the acne-causing bacteria, and is being used to treat inflammatory acne that has not responded to other acne therapies.